This prize-winning non-fiction book is about fascinating people of some remote, incredibly beautiful Pacific islands near the equator, and the small band of mostly young Americans sent out by their government to administer them. The author, first civilian administrator and American Consul of part of the Carolines, takes the reader by freighter and outrigger canoe around the islands. Follow him and other Americans and Trukese along palm and breadfruit tree-shaded paths into the heart of village life. Linger long enough to get to know something about their island ways. This is no dry exposition! 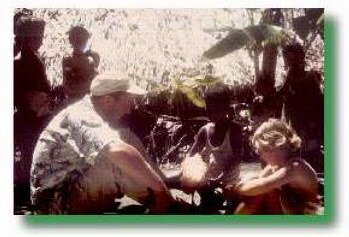 Be right there with the islanders and American doctors and nurses as they jointly begin to tackle such tasks as trying to combine the best of the local medicine man's ancient lore with modern medicine. Be there, too, as Napo (the young superintendent of schools), Herb (the young American education officer), and their staffs seek ideas from the islanders as they help develop education which makes sense in their daily lives.